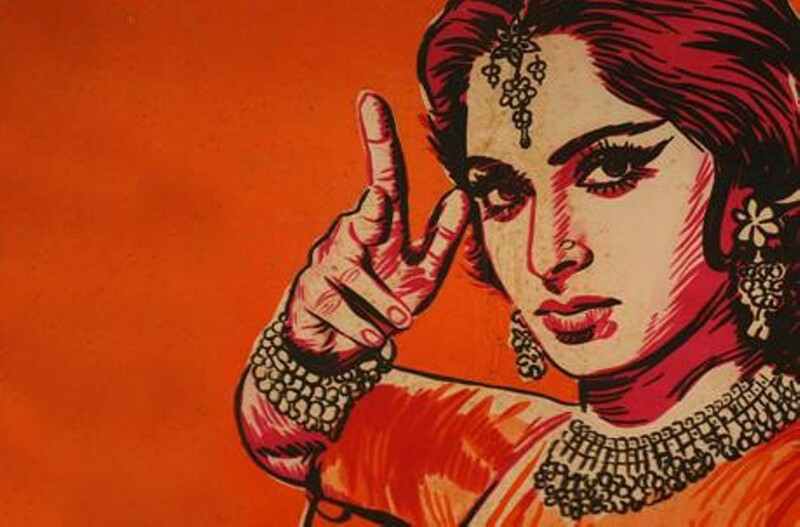 Bollywood in the 60’s was as glamorous as it could get. 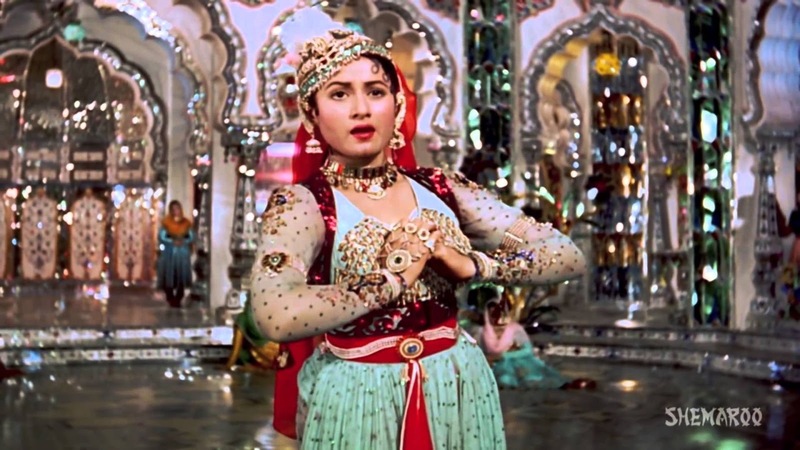 With new breakthroughs in technical innovation with light and sound, the glitter and bling of bollywood evolved exponentially. Most movies in the fifties were about social and economic issues, but the 60’s was more romantic. Costume designers paid attention towards fashion and clothes. Style quotient for actors was raised and subjects became colourful and romantic. 1. Colour! The 60’s was about moving from black and white to colour and so the first thing that came to notice was the vibrancy and loveliness of the bright colours that the movie stars incorporated in their costumes. 2. The Mumtaz sari wrap: In her movie ‘Ram aur Shyam’, Mumtaz brought this different style of draping a saree which is now known by her name. She wore an orange saree with a gold border and a sleeveless blouse. Her example was followed by many other stylistas and actors in movies to come. This way of draping a saree is very retro, and my personal favourite. You can always try it out with quirky colors or the right kind of prints. 3. The fitted Kurta-Churidaar: In the movie ‘Waqt’, Sadhana is seen wearing a fitted churidar-kurta which brought her into the limelight. This style was later carried forward by actresses like Asha Parekh and Vyjanthimala in movies ‘Love in Tokyo’ and ‘Jewel Thief’. This trend is a very versatile as the churidar-kurta can be worked with many colors and different styles. 4. Polka dot prints: Hema Malini was well known to wear polka dot prints in funky colors like yellow and orange. Later even Sharmila Tagore was seen wearing a polka dot printed bikini in the movie ‘Aamne Saamne’. I think that these prints are really cool because they’re really easy to wear and work well with anything! 5. The make-up department: The 60’s are remembered also for the kind of make-up styles and accessories that we got to see in the movies. Most popular of them are – The Winged Eyeliner, Beehive bun hairstyle, Sadhana hairstyle (bangs or fringes), bolder jewellery, use of headgear and westernization of costumes by adding accessories. It was only in the 60’s that actresses became bolder and wore swimming costumes on the silver screen for the first time. The movies of the 60’s were revolutionary and brimming with emotion that we still feel whenever we watch a 60’s movie. So now we know that 60’s was perhaps the most forward and coolest decade in the previous century and more importantly, movies of the 60’s set the trend for the movies in the next few decades that followed. Picture Credits : Pinterest, Google images, and our lovely Bollywood Movies.